Apple’s ongoing difficulties in China have been laid bare by new figures from IDC that suggest iPhone shipments fell by a fifth during the fourth quarter of last year. In its most recent company results, Apple revealed iPhone sales had fallen by 15 per cent globally, with China cited as one of the main reasons. The country has been a huge source of growth in major years, but slowing economic growth and smartphone market saturation is taking hold. Meanwhile there is intense competition between major manufacturers like Apple and Samsung and with local vendors like Huawei, Xiaomi, Oppo and OnePlus. Why are Apple sales falling? Chinese consumers are extremely price-conscious and there is little brand loyalty. This means that competitively priced, feature-packed phones have caused problems for the iPhone which has become more expensive over time. “Besides regular performance upgrades in 2018 and small changes to the exterior, there has not been any major innovation that supports users to continue to change their phones at the greatly increased price,” IDC said. 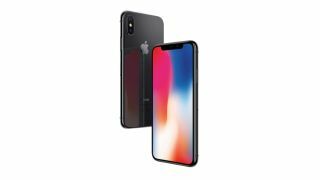 To address the fall, Apple has suggested it will offer new financing and phone replacement services, while the iPhone XR could be discounted in some markets to offset the strengthening US dollar. The Chinese market as a whole contracted by 9.7 per cent in total, with Apple’s rate of decline more than double that. Huawei saw shipments rise by 23.3 per cent and now commands 29 per cent of the market. Oppo and Vivo are also ahead of Apple thanks to minor increases, while Xiaomi saw shipments fall by 35 per cent. Xiaomi, which is expanding into Europe, now has 10 per cent of the market.